Here's a tasty way to use that leftover corned beef. The corned beef is combined with frozen hash browns, cheese, and seasonings and then cooked in the slow cooker. The recipe makes a delicious one-pot meal the whole family will enjoy. Add a tossed salad and some biscuits or whole-grain bread to make a satisfying well-balanced meal. The dish takes no more than 15 minutes of hands-on prep time, and it cooks while you do other things. Feel free to add some green and red bell pepper for additional flavor and color. Or replace the shredded hash browns with frozen O'Brien style potatoes, which include bell peppers and onions. The type of cheese is adaptable as well. Cheddar cheese, Swiss cheese, or a blend of cheddar and Monterey Jack cheese are all good alternatives. 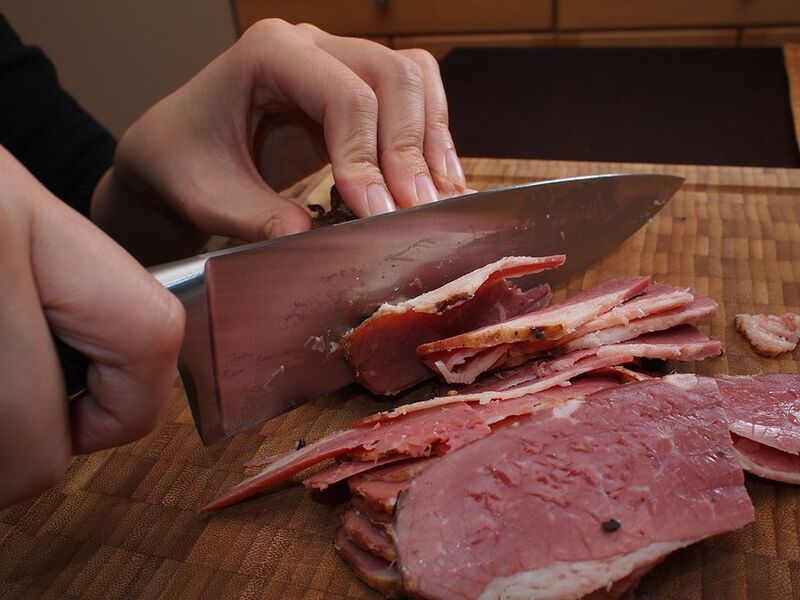 Cut the corned beef into small cubes or shred it. Lightly butter the inside of the crockery insert of the slow cooker. Sprinkle about 1/4 of the hash brown potatoes in the slow cooker, followed by 1/3 of the chopped onion, and 1/3 of the corned beef. Sprinkle with 1/3 cup of the cheese. Sprinkle with celery seed, salt, and pepper. Repeat the layers 2 more times, ending with the remaining hash browns, the remaining 1/2 cup of shredded cheese, and another sprinkling of salt, pepper, and celery seed. In a small bowl, combine the cream of celery soup and evaporated milk. Stir to blend and pour over the potato mixture. If you are using canned corned beef, it will be easier to cut into cubes if you refrigerate it for a few hours, or until thoroughly chilled. There are a few ways to thaw frozen hash browns. The easiest way—if you have the time—is to let them thaw overnight in the refrigerator, preferably in a covered shallow container. To quickly thaw the potatoes in the microwave oven, spread them out on a plate in a single layer; microwave on 100% power for about 30 seconds for each cup. Alternatively, pour the hash brown potatoes into a large colander. Run cold water over them until they are thawed. Spread them out on paper towels and pat with paper towels to dry thoroughly. Evaporated milk—not sweetened condensed—is often used in slow cooker recipes because it resists curdling. If you must substitute, use chicken stock or add milk or half-and-half just before the dish is ready.